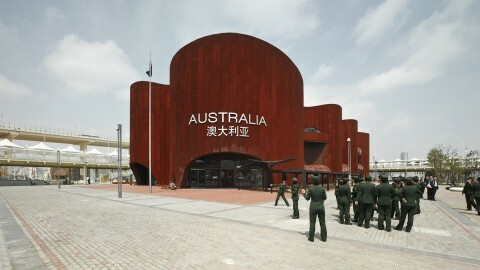 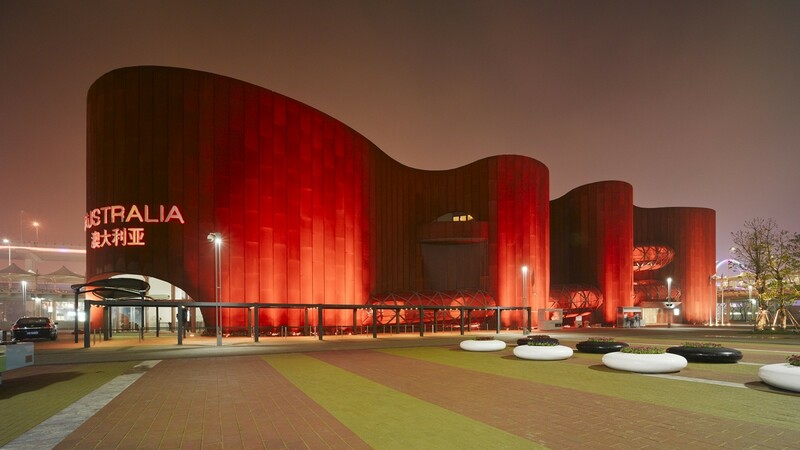 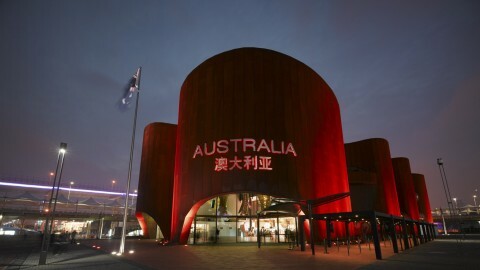 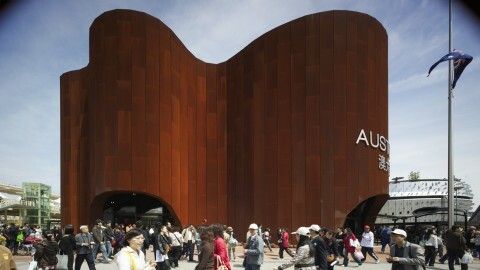 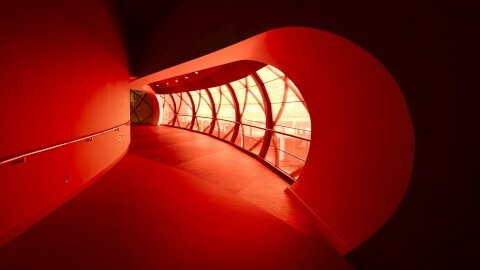 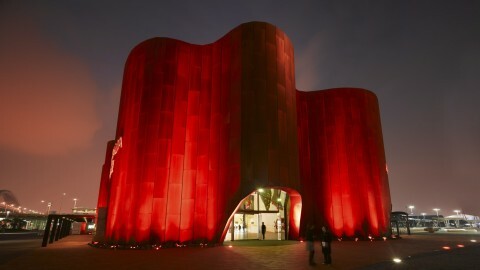 The Australian pavilion has been designed to be read in its surrounds as a bold, modern and organic form. 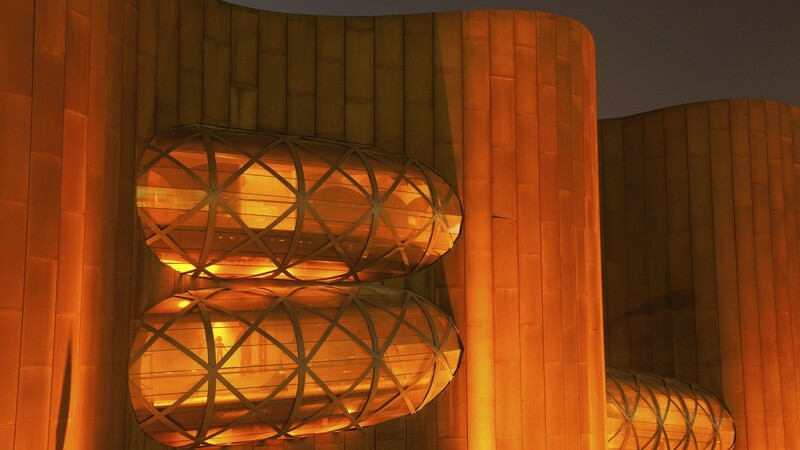 Set in the abstract landscape of the World Expo Site, the sensuous ribbon of the facade, broken by glazed tears, generates an undulating form, which is designed to have no obvious front, rear or sides. The prominent entry is articulated by large glazed tears and illuminated signage, while glazed tubular circulation ramps protrude out of the curving façade, providing interest for participants and intrigue for passers by. 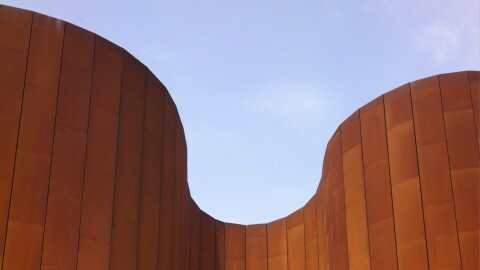 The singular materiality of the cladding reinforces the form, the earthy tones of the weathering steel referencing the ubiquitous Australian landscape while the highly sculptural skin expresses the modernity and design integrity of our cities. 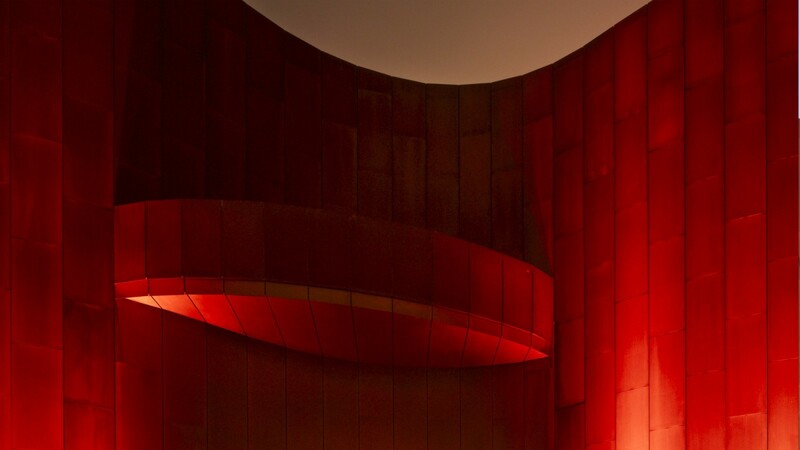 Internally the large performance space and ancillary functions are organised around a full-height internal courtyard giving some drama to the spatial relationships within. 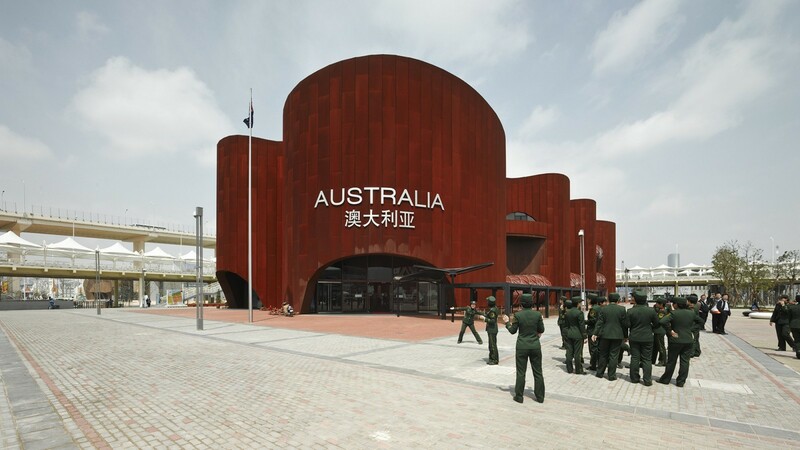 The pavilion expresses the duality of the sparse Australian landscape and its densely populated urban centres. 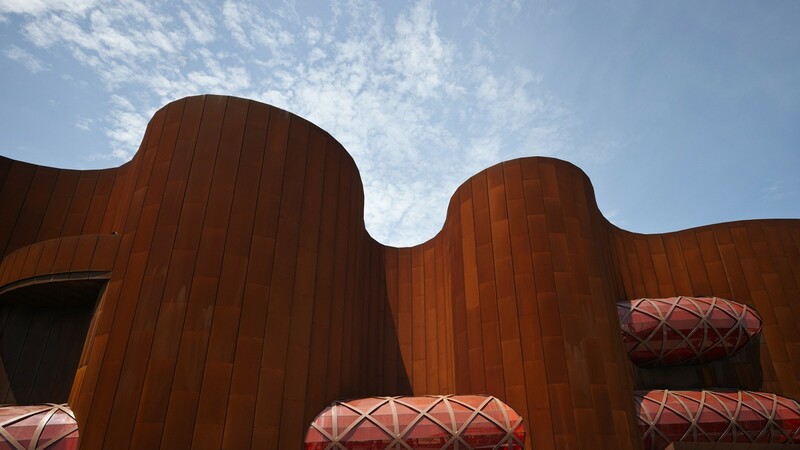 Wood Marsh collaborated on this project with Think!OTS who designed and produced the exhibitions and construction firm Bovis Lend Lease.